KSR Amplification® – No sound left behind. KSR Amplification®, powered by Rhodes Amplification, LLC, is a company dedicated to producing high quality guitar amplifiers, switching systems, and occasionally mods. We specialize in the design of versatile guitar amplifiers loaded with unique and useful features. We have several standard models available; have a look at our amplifiers for more information. We have our own in-house cabinet shop. With a variety of cabinet offerings, feel free to specify any speaker not currently listed as an option. We can acquire any Celestion speaker to fit your needs. We also provide engineering services, product design, custom prototype fabrication, and contract manufacturing. Please inquire if you’re interested in high quality production, prototyping, and innovative design work. We take pride in our work — and that is why all our products bare my initials. You can count on supreme quality and attention to detail regardless of what it is you acquire from us. Of course, quality only gets you so far with something as subjective as audio production, and our sound speaks for itself. We make as much as we possibly can in-house. We use our large CNC router for plywood and sheet metal fabrication. We run our CNC vertical machining center for aluminum and plastic part milling. We take advantage of our CNC laser for aluminum marking and plastics fabrication. Our pick & place machine helps us assemble circuit boards. And, our well equipped wood shop allows us to make just about anything from wood. Not only does in-house manufacturing provide us the ultimate control in quality, lead-time, and maximum production flexibility, we can churn out prototypes and optimize designs with ease. 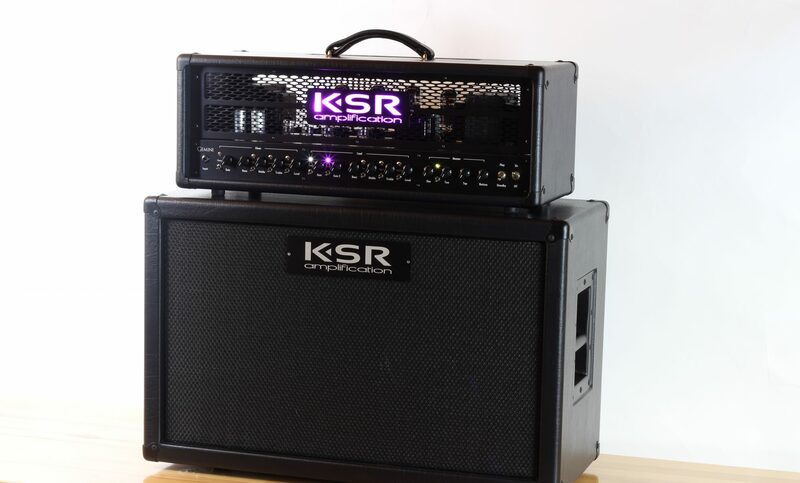 Previously based in central Indiana, but recently relocated to the Cincinnati area, KSR Amplification started in 2009 as a local custom amplifier and gadget builder. After a few amps we began designing and building custom switchers and floor controllers. With our first standard products officially launched back in 2011, we stepped up to be one of the major players in the high-end guitar amplifier market. Since then we’ve launched the Colossus, Artemis, Gemini, Orthos, Ares, and Juno, redefining the sounds and features most thought possible on modern guitar amplifiers. Every one of our products bears the mark “Made in USA”. We manufacture everything in a small shop just outside of Cincinnati, Ohio. We will only produce equipment assembled from the finest components; our chassis are made in one of three states, our anodizing is applied in Indianapolis, our laser engraver is in-house, our silk screener is downtown, and our cabinets are built on-site. We believe in quality USA made products and doing our small part to help the economy back on track. You can do your part by buying quality USA made products — not just ours, but whenever possible! We hope you’ve enjoyed browsing our site, from the amplifiers we’ve built, to some sound samples, we have a bit of content to hopefully keep you entertained, at least until you no longer can resist the urge to pick up your next amp. If you find yourself begging for more, check us out on Facebook or contact us.